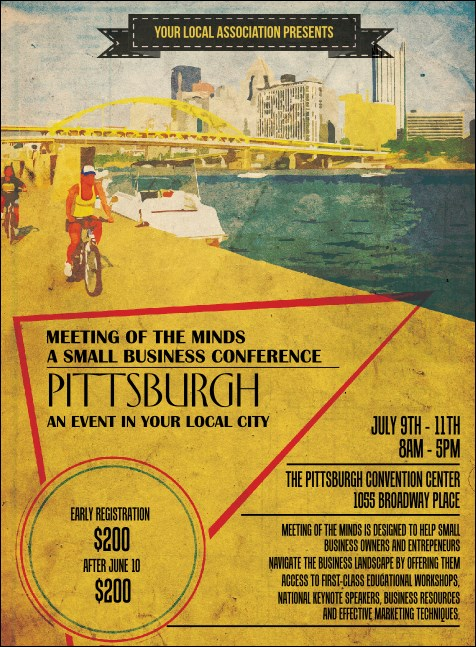 Let your pre-event promotions flow like so many rivers through the City of Bridges when you print Pittsburgh 2 Invitations and send them out to your Allegheny guest list in advance. Each Invitation features a gorgeous rendering of The Burgh’s downtown area near the Fort Pitt Bridge and the Monongahela River. TicketPrinting.com helps you get to the heart of Steel City advertising.